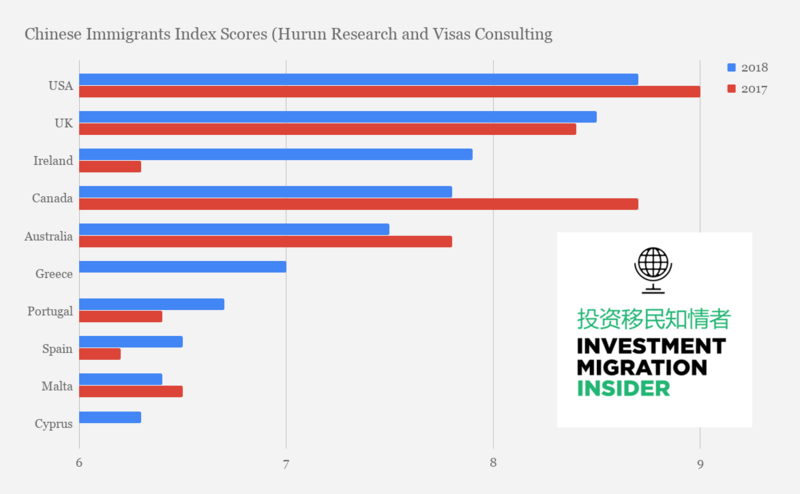 The Hurun Research Institute in association with Visas Consulting Group (a leading Chinese immigration company) has released the Immigration and the Chinese HNWI 2018 report which includes the “Chinese Immigration Index”, a ranking based on an investment migration program’s suitability for Chinese applicants, the “Preferred Destinations for Immigration Ranking”, as well as a variety of data detailing trends in the Chinese market for investment migration, which makes up some two-thirds of the global investment migration market. The report contains a wide range of notable and surprising findings, some of which we’ve dissected below. Hurun Research surveys 224 Chinese HNWIs with an average net worth of US$4.5 million who either have already or are planning to emigrate. 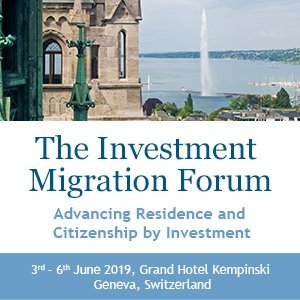 The proportion of these HNWIs who say they are considering immigration has dropped steadily for the last few years, reaching a high of 64% in 2016. The report does not specify whether the same 224 individuals are surveyed every year but, if that is the case, it would explain why the proportion considering migrating is falling as many of them will have followed through on their stated plans. 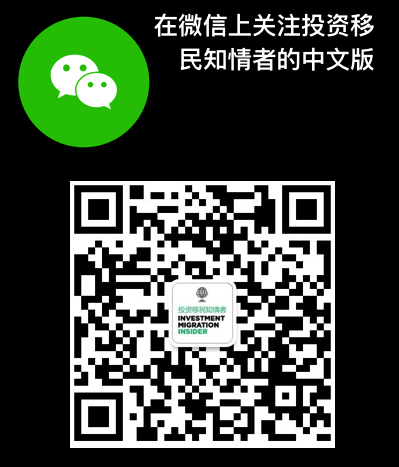 According to the Hurun Chinese Luxury Consumer Survey 2018, about 37% of HNWIs respondents are currently considering immigration, a 10% drop compared with last year. 12% of them have already emigrated or are applying to do so. 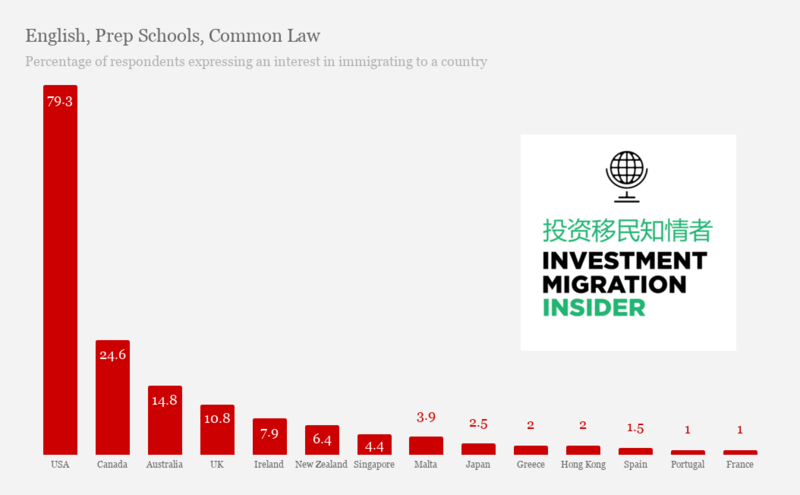 “The United States is definitely the first choice for Chinese HNWIs who are considering immigration. London has risen rapidly to become the sixth most popular destination for purchasing overseas property, overtaking Vancouver, Toronto and Melbourne for the first time. It is also interesting to note that 90% of those considering immigration intend to live in China after retirement“. 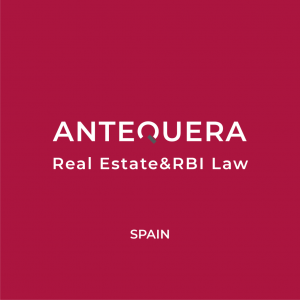 Education, investment destination preferences, immigration policy, property purchasing, personal taxation levels, medical care, visa-free travel and ease of adaptability. While the 2018 Chinese Immigration Index still ranks the US first, with a score of 8.7, the list contains several newcomers that have bumped others off the list. 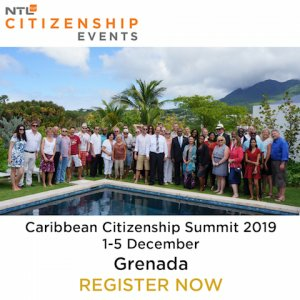 New on the list is Greece and Cyprus, while Antigua & Barbuda and Dominica are now out. 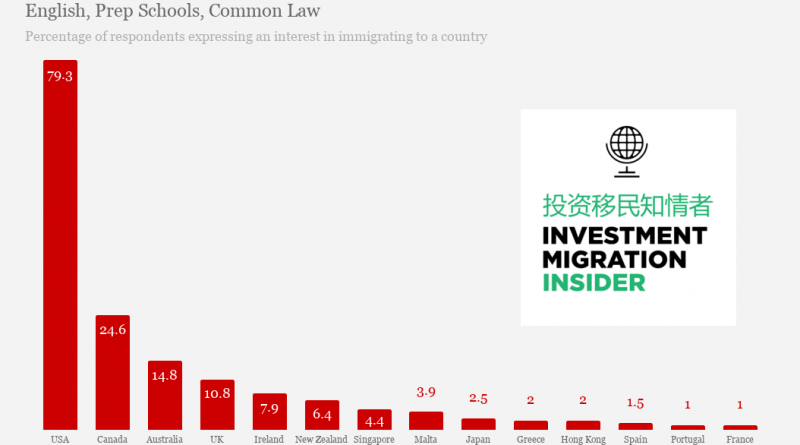 Quite apart from Hurun and Visas Consulting’s scored index, however, are the stated immigration preferences of the surveyed individuals themselves. Some eight of ten respondents expressed an interest in immigrating to the US, a quarter to Canada, and one in seven to Australia (respondents can tick off more than one box). 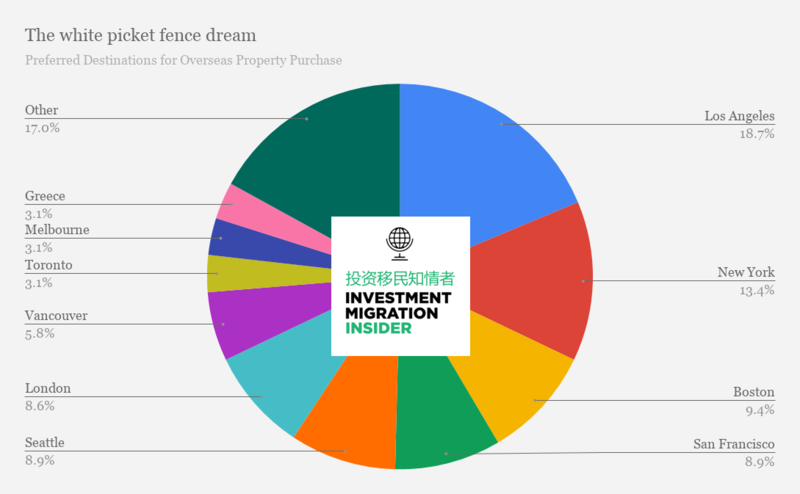 Hurun also asked its respondents which single destination interested them the most in terms of buying property, and found that about two-thirds listed cities in the US as their top choice. For further details, visit Hurun Research here.